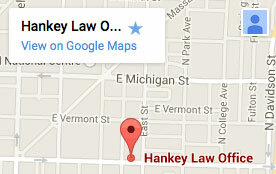 Hankey Law Office > FAQs > How long will it take to obtain long-term disability benefits? Q: How long will it take to obtain long-term disability benefits? A: There is no way to determine exactly how long it will take you for you to receive long term disability benefits or if you will get benefits at all. The application and approval process can take many months by itself. Additionally, many people are denied initially, forcing them to file an appeal or take further action. Thus, when you initially file a claim, there is no exact timeline that you can reference to help you determine how long it will take you to potentially get benefits. Generally, however, claims can be resolved within approximately 18 months. An Indiana long term disability lawyer at the Hankey Law Office, can help you to assess factors that are likely to influence the length of your claim’s consideration. Contact us at (800) 520-3633 for the committed and capable legal assistance that you need.